The total abuse of our broadcast frequencies and airwaves by the government and private broadcasters is a serious threat to democratic values. It is an infringement of the rights of the people. Broadcast frequencies have been allocated only on political patronage and are continuously abused for political and commercial interests. There is no space for any, truly independent media. 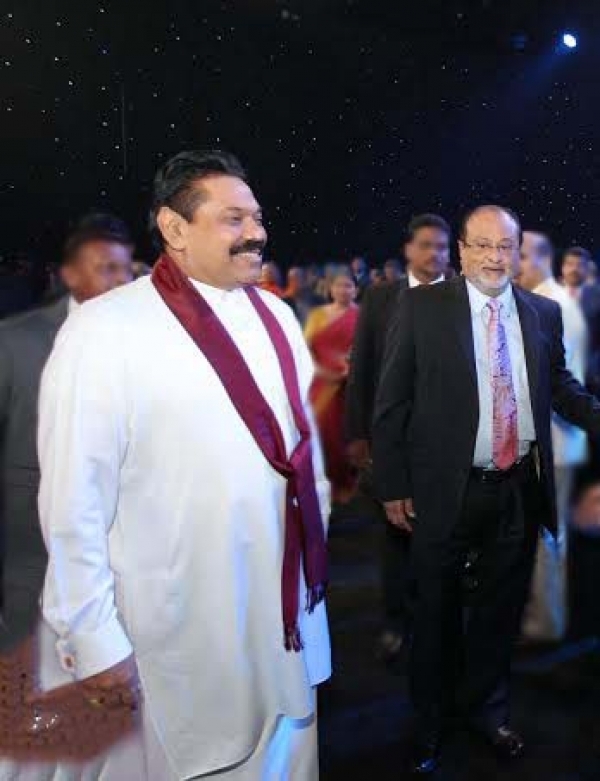 The last government under the dictatorial administration of President Mahinda Rajapaksa abused the state-broadcasting networks that looked more like houses of ill fame than national broadcasting networks. Veteran Radio Ceylon broadcasters of the golden era must have been turning in their graves, when they heard Hudson’s choicest words in the morning shows on national radio, during the last four years of the Rajapaksa regime. The Sri Lanka Broadcasting Corporation led the abuse followed by the Independent Television Network with character assassination of individuals and organizations that could not be compared to any other, anywhere in the world. It can only happen in the miracle of Asia where the Chairman of a national radio gets on air, everyday and puke the worst filth imaginable on our airwaves. The language and abuse hurled against any opponent of the government by the SLBC Chairman and his yes men were worse than the Mariyakade slang. Yet, nobody took Hudson to task legally and wonder where he is hiding now. Needless to say, the reason for not attempting any legal recourse for defamation was that the public had no faith in the judiciary during the Rajapaksa era. Now, with Yahapalanaya, its time these psychopaths are taken to task. Of-course, no government since the elevation of Junius Richard Jayewardene (JR) to the Presidency in Sri Lanka, allowed any free speech on National Networks. Ranil Wickremesinghe, the Prime Minister of the 2002 government, who now talks about media freedom and the right to information is accused of deciding the news agenda in his morning meeting with state media heads. Mahinda Rajapaksa and his band of psychopaths perfected it and claimed that the Government had only the government channels to use for their propaganda. While, these are not acceptable by any norm, it is an extension of the total abuse of political power by successive governments that are elected by the people. What should astound every citizen is the total abuse of the airwaves by private broadcasters to fulfill their political agenda. Not a single private broadcaster in Sri Lanka is clean of this allegation. The biggest abuser could be identified as the Sirasa network that allocates considerable airtime to promote their political stooges and plants. Today, a few of their nominees have managed to enter parliament and provincial councils, and there is absolutely no doubt that they are attempting the political control of a sizable representation, both in and outside parliament so that they could blackmail any government in to submission. The network uses prime time television to promote their nominees and has even dropped their lucrative drama belts to achieve their political goals. The Sirasa network, during the Rajapaksa dynasty went on a witch-hunt of the current Prime Minister, Ranil Wickremesinghe and promoted Sajith Premadasa as a possible successor to lead the United National Party. Towards this, they used up at least 50% of the airtime during news broadcasts to abuse Ranil Wickremesinghe, Mangala Samaraweera and other anti Sajith Premadasa politicians of the UNP. Ranil and his men withstood this hate campaign and succeeded in retaining their control of the opposition and the United National Party. Sirasa’s primary aim was to promote Sajith Premadasa to the helm so that they can influence any future UNP government to their advantage, as they did during the Ranasinghe Premadasa era. They did a complete turnaround to suddenly promote the opposition when the writing was on the wall that there was considerable opposition to the Rajapaksa rule. It is a known fact that Senarath Kapukotuwa, the former General Secretary of the UNP and a Maharaja confidante brokered the truce. That truce, was made not because they loved Ranil, but they feared the inevitable. The Sri Lankan television audiences who watch Sirasa TV is inundated with the nuisance of Ven. Seelaratane Thero, a monk who would not garner 5000 votes, Milinda Moragoda, a failed politician, Marikkar, Sajith Premadasa, Sujeewa Senasinghe, the foul mouthed Sri Ranga, Susil Kindelpitiya, Susara Dinal, Buddhika Pathirana and the latest hate monger, Dayan Jayatilleka to name a few. It’s appropriate to contemplate, how they have strategized to plant their men in every political party. Count the number of prime time minutes each of these political plants get to drive the blood pressures of the television audiences in Sri Lanka. Are there no laws to prevent this nuisance? Yes, they could claim that they are using their private money to promote their political nominees, but what needs to be stated is that the broadcast frequencies belong to the people of Sri Lanka. It is time that the media is made free from the clutches of commercial and political interests. A government fund needs to be created to support all broadcasters so that there would be a level playing field, Media needs to be independent, and there should not be any government, religious, commercial or political patronage to any media institution. Laws need to be enacted to withdraw the license of any network that engages in political lobbying. Any misuse of the airwaves should be a punishable offence in law. A powerful commission or an independent regulatory body is needed to oversee the role and independence of the media in Sri Lanka. These Foreign Black Coconut Monkey like Granville Perera can easily sit and comment from a distance. Its those Brave Private Media Institutions and their journalist that have to operate in danger in SL.. They have to play a delicate balance act. Of not we would today only have Dum state media. Not long ago there was a Raid at Sirasa tv 2010 where studio and equipment was destroyed and other channels. but the message gets out. And only a Foreign Monkey sitting out side this nation can easily be negative. but its not them who have to loose money, and some rare occasions lives and live under therat. So a balance act must be plaeyd and have many private broadcasters that still get the message out, rather than no message or one version of it, until media and police laws are changed. Lets npot forget when Mervin broke into state media what the workers did to him, only later those journalist were stabed. SO THESE COCONUT PARASITE black monkey can sit and comment and think what other people ought to be doing, then come here and do it. Hey , no need to get nasty like this , what Granville had said is the bitter truth , yes Sirasa has done a great service to eliminate the Mafia family , of course we are grateful to them , but it does not mean we have to blindly follow their news , any one can see their hidden agenda ,Sirasa is dead against Ranil and it will do every thing possible to destroy him , Ranil has so many weak points , but it does not mean he should be eliminated from SL politics , He is a well respected , matured politician , his presence alone will enhance Srilanka’s image . Sirasa always thriving to be number 1 , no matter how , what Sirasa has been doing to Srilankan youth is beyond our comprehension , especially for the teenage girls , just think about it ! Sirasa’s harm to lanken society as DANGEROUS as the Glyphosat – Monsanto monster poisous more developing world than developed world. I LIKE Satana just because you dont have any other better programs in lanken pvt media. But most of the time they are not well prepared. You need to check German and Uk channels, how advanced they have been. Even Indian New hours with estranged English is far better than Satana. Howver, Sirasa has its monopoly until few more years I guess. It is simply the nature of people – that allow to abuse has led the social erosion of them to this date. I think going back to my childhood days – MrS B#s govts protected the society much better than is the case today. We respected one another – police had been doing the job well. We respected buddhist monks and buddhist monks also performed a greater role in the society not second to family councilor of a western country. Today most of them are cornered and attacked by people. May be those religious leaders failed to behave well over the years. I am very against Hamuduruwos becoming so violent as seen in Beruwala by BBS activities. Allowing them to stage that fiece was a greater mistake by MR regime. He should be interviewed on the issues – LET ALONE today, whehter the man could deliver constructive responses to any of them. Matey, when was the last time you criticised Mahindapala for the same thing? If not all but majority of the country are well aware of the manner MR handled issues in favours of them only specially in his second term. So I question myself thousands times a days why the authorities still stay bakala gaha gaha – being bandy legs in terms of taking due actions against Maharaja and his croonies. If I were the president elected, first thing I would have done was to appoint a powerful body to bring Raja and his goons behind the bars. That would have been the first step while rounding up other issues then. Today, we are still not sure whether the ruling regime is capable of doing the due against Marioses that ruined the nation with direct approval of Mahinda Rajapakshe. When will holier than thou Sirasa Satana Crew grill their own corrupt, media mogul? Will be the litmus test of their own credentials. Not only corrupt, mafia like media moguls, most so called practioners of this trade are just as rotten in Sri Lanka. Except a few. We need a total overhaul of the whole sector. A regulatory framework, balanced, transparent ownership structures, quality education of journalists. Not least ethical guidelines all must subscribe to be a part of the media culture. PS: RW is not really much better than ousted dictator or CBK on media issues. RW has a more calculated way of manipulating the media in his favor. Thanks Granville for the timely intervention of exposing Sirasa hypocrisy , all most all the so called Sirasa media pundits have their own agendas , worst ones are Kingsly Rathnayaka, Chandana Sooriyabandara , Sri Ranga , Susara Dinal,Wanniarchchi bloke , sydny Chandarasekara et al . Sri Ranga is the worst culprit among them , he had contested under UNP ticket then jumped the ship to strengthen MR’s hand and then joined Namal’s Balu brigade , voted for 18 th Amendment , joined as a delegate for the MR annual UN pilgrimage , despite all these crimes , he still comes as a devil advocate to scrutinize and ridicule other politicians , what a low life character ? UNP must not give nominations to any of these so called pundits . as you correctly said , Sirasa knew where to draw the line , as the writing was on the wall , Sirasa started backing MY3 , now turned the tables , Sirasa doesn’t want Ranil to lead SL , hence started attacking and destroying Ranil ! Arjuna’s brother is an exceptional case , i remember in one of the satana programs , he started questioning and scrutinizing his own brother Arjuna , considering Rantunga family’s bad reputation , he certainly stands tall among them. Next offender is Swaranawahini , what a channel ? selling sub standard gold as pure gold and pawning gold is her main business , always associated , associating with corrupt officials , her favorites are/were MR , Basil , Rohitha Abeygunawardana , Mervin silva , Pitiduwe thero (amazing one) et al , this time round she had donated Rs 280 M for MR presidential campain , she reminds the other rogue woman Cesil kotalawala , Buddika Kulasekara is another wolf in sheep clothing , he had been very busy bidding for MR for the last few years , but all over sudden he seems to be tilting towards UNP , wonder why ? Derana has lost its credibility , even after the election Derana openly supports Mafia family , Dilith Jayaweera’s wealth needs to be scrutinized , this guy said to be the owner of Liberty plaza ,whose money is that ? TNL , Shan was very busy with Mafia family as well when MR was the president , he is the one who introduced that low life scum bag Hudson to “Rata yana atha ” radio program , as expected Hudda back stabbed Shan and joined SLBC , then he started attacking shan , it was a dog fight. of course , now shan is attacking Mafia family left, right and center , shan is another typical opportunistic media mogul . Hiru , even though the channel associates with the Srilanka’s number one criminal , its reporting is some what balance up to a certain extent (except Duminda’s News) , i recon Hiru is the best among the worst. “The Sri Lankan television audiences who watch Sirasa TV are inundated with the nuisance of Ven. Seelaratane Thero, a monk who would not garner 5000 votes, Milinda Moragoda, a failed politician, Marikkar, Sajith Premadasa, Sujeewa Senasinghe, the foul mouthed Sri Ranga, Susil Kindelpitiya, Susara Dinal, Buddhika Pathirana and the latest hate monger, Dayan Jayatilleka to name a few. It’s appropriate to contemplate, how they have strategized to plant their men in every political party. Count the number of prime time minutes each of these political plants get to drive the blood pressures of the television audiences in Sri Lanka. Are there no laws to prevent this nuisance? Yes, they could claim that they are using their private money to promote their political nominees, but what needs to be stated is that the broadcast frequencies belong to the people of Sri Lanka”. Ideally the media should be free and independent like the courts, but in SL where even the SC is under the control of the Executive how can that be? Everything is in a mess in the country,, there is no hope unless people as a whole change their entire out look and attitude. But when wily politicians use race and religion to dupe, the mess will remain in spite of whatever regulatory framework there may be, the abuse will go on by hook or crook.that is why it is important to have the Freedom of Information Act ASP. Happy to read this article which reflects the real feelings of many like minded persons on the mtv/sirasa TV news broadcasts which is totally biased and on most occasions aim at promoting their own cronies and destroy the persons who do not fall into their line. before elections and degrading their opponents such as Ranil W,Karu J, etc. to make money than true journalism. I have seen many persons/families have decided never to watch Sirasa news or their other political programmes. In their Tamil version, Sakthi TV telecast news etc to promote a kind of Tamil feeling which does not reflect their news in Sinhala/English. These people must be taken to task if they do not follow any guidelines in the conduct of their activities. I am now listnening to My3 live on rupavahini.This bugger is lying through his teeth to save his position cos he knows in his heart that he was caught selling his soul. He is pleading while threatning for the support of SLFP local gov. politicians but he knows he is fighting a losing cause. I don’t think he was pleading with the SLFPers. Infact, MY3 was telling them “home truths” to drive some sense into their thick heads. The SLFP brains have got shell shocked after listening to years and years of lies, half truths and falsehoods doled out by their former leader, the Maharajano! I saw the faces of many (with skeletons in their cupboards), listening with bland expressions on their faces. God only knows how this lot can go before the people and seek votes when so many corrupt deals have come to light. I happened to watch the discussion GOTABAYATA had with Derana yesterday. There he dares to say that he has not done anything wrong in terms of floating armories. …. No remorses from his side to see yet – so that is their nature may be without knowledge he should have run white vanning or any other underground activities. May also be possible, all Welesuda is explaining interm of Duminda is just a stammered stoy according to Gotabaya. I hate to see him on the TV screen, but I though to listen whether at least bit of remorses would he shine.. as a citizen of thiscountry. I thought the interviewer was not powerful enough as the one of Sathayagraya. Latter cross questioned Lalith Kothalawala as he went into pieces in the end of the dialogue. The interview was a pretty boring one as it was one way traffic , as usual Gota the control of the interview , he asked his own questions and answered ,since Derana is the proxy TV for the Mafia family , Sanka let him to be the jury as well as the executioner , one good thing though , it was a relief to see Gota without the tie . as a journalist , rather he was cross examining that fallen hero and finally executing him , i felt really bad witnessing that interview , Sananasgala clearly overstepped and disobeyed all the media ethics , he forgot lalith K was his guest , Upul S killed Lalith K for the 2 nd time ,what a terrible show ! as usual, Gota controlled the interview . agree it was very bad to put LK in that position. I agree with Granville. Sirasa has become one of the worst channels to watch only interested in promoting their lackeys and ex staff who are in politics. It is sickening yo watch its prime time news where Seelaratna thero who cannot get even 500,votes from the entire country comes almost everyday preaching his sermon to an empty audience with only Sirasa mike and then that dude Buddhika Pathirana presenting plastic cups in Matara. This guy Sri Ranga is worst of the lot. He hosts the minnal program in a bizzare manner. Instead of moderating, he becomes a participant and talks rubbish more than the guests. Is it ethical for a politician to moderate a political discussion. The boorish behaviour of their media panel when they made nasty questions at Ranjan Ramanayake in a satana program demanding explanation for Ranil giving his first long interview to Hiru after becoming PM. It is pure jealousy as Hiru has overtaken Sirasa in its popularity rating in prime time news. As someine pointed out here, Hiru though owned by the brother of a suspected criminal is very balanced in its news telecast and political discussions. They have now even blacklisted the owner’s brother. We don’t see him nowadays. I am glad that fair minded people notice the biased reporting and the blatant attempt to influence public opinion by all the media. Maharajas’ do take the cake.The so called politicians who work for them have been “created” to achieve maximum political influence. Action of Maharaja & Co and others to defame Ranil Wickremasinghe will boomerang on them very badly in the near future. These brothers Raja Mahendran and Killi Mahendran are bloody crooks and should be exposed. It will not be long where they begin to feel the heat of the masses turning against them. A boycott of Maharajah services and products to begin with by the public, will pave the way to put them in their place. Is it true Dutta Gamini Dissanayake was too close to Maharajas? I am told the brothers supported UNP for a long time. These two brothers have always bought over corrupt politicians and controlled them at will. I know of how Ranasinghe Premadasa was on their lap and he had no choice but to give every tender to the Maharajas. Their TV license, Mobile business (now Dialog) and host of other concessions came from Premadasa. Now, they have Sajith on their lap and he is given 50,000 every week to distribute to some temple, Kovil or mosque so that they can show him on TV as a benevolent politician. So, the new government has to inquire in to all these unethical financing and make sure that these manipulators of public opinion are eliminated. Granville is absolutely correct. we are daily treated to moronic screeching sajith distributing laundered maharaja money to poor innocents with max publicity. don’t forget daya gemba jayasekera of dubious repute as gil pappas secretary who now wants to tackle corruption in government. but the biggest mystery is how a clown like senasinghe gets abundant airtime from virtually all channels for his silly antics. we are sick of all these idiots. a legal remedy against the politically biased coverage of maharajas is urgently required. and well being of a nation. Should not President Sirisena think about it. President Maithree & PM Ranil should read this article. The writer tells the truth. It is time to set up a Monitoring Commission to stop these politically bias activities of the TV channels. If you are are a Sri Lankan who happens to watch Sirasa TV ‘s 10 pm news … And afterwards go into Sleep Consider your self as a totally failed Sri Lankan adult Citizen. now lets see who are next generations of course Nirupama Nadesan sorry nee George R…. Nadesan roots ends with real Maharaja’s family of Barnes place. only channel criticize UNP leader through their own party men NO Maharaja’s henchmen to exit the leadership…and while only channel conducted president Diary which praises president MR…. CT please don’t disclose….im not ready to be another Lasantha W the great…. Sir, Granville Perera truly good observations. J.Sri Ranga known a elder son of School Teacher from Jaffna. When Mahinda Rajapakse become fisheries Minister first in his life time under CBK Ranga boy appointed as Coordinator Secretary to Fisheries Minister. Ranga’s Maharaja days associated with Secretly with Mahinda ….Ranga must be questioned for assassinations of Maheswaran MP, JosephPararajasingham MP, Raviraj the boldest truth speaking MP you may find question why. The writer should be applauded for a timely and perceptive critique of the disgusting state of the media in Sri Lanka. He is spot on especially with regard to the high-handed tactics of Sirasa. Private media in many societies do get drawn into politics willingly or unwillingly, but not to this low level of crass opportunism and meddling. What makes me sick is Sirasa’s self-righteousness while they flout all norms of journalistic conduct. Sirasa is a relentless ambulance chaser, shamelessly exploiting people’s vulnerability during natural disasters. They indulge in “charity” to increase their viewership. After distributing some paltry goodies – and that too gifted by well meaning public – they pressure the victims to praise the “generosity” of Sirasa before the cameras. Satana is nothing but a cheap circus. The facilitator Sooriyabandara and his creepy sidekicks without any concept of professionalism, or even common decency, intimidate and harass participants who refuse to toe their line, while showering their plants with false praise. I agree with the writer that the worst scoundrel is the “foul-mouthed” and repulsive Sri Ranga. At the end of the show, Sooriyabandara always comes out with his puke-inducing platitudes and condescending homilies about Sirasa’s commitment to the people and their democratic rights. What a joke, Sirasa conducts workshops in schools to teach children journalism! Who gives this unscrupulous commercial organization permission to indoctrinate children attending schools run with taxpayer’s money? Do the Maharajas think we all Sri Lankans are their humble citizens? What an apt named or for the well known plumber, but ncluding his sisters in law both past & present & other sister Shobana of Padma Maharaja. Plumbed them all with gold, diamonds and black money!